Join your Scottish Rite Brethren from six states in the Northern Masonic Jurisdiction and Southern Jurisdiction to celebrate 300 years of Freemasonry with a unique event for candidates and members alike. The Valley of Cincinnati will host a Veteran’s Day reception in the Cincinnati Masonic Center ballroom starting at 6:30 p.m. with a program at 7:30 p.m. on Friday, November 10, then a full day of degrees and fellowship on Saturday, November 11, beginning at 8:00 am. 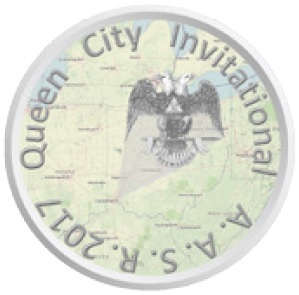 The program includes the 4º (live), portrayed by the All-Ohio Team; 18º, portrayed by the Valley of Columbus, OH; 19º, portrayed by the Valley of Pittsburgh, PA; and 32º (SJ), portrayed by the Valley of Covington, KY. The DeMolay Ceremony of Light will also be given. The program will conclude by 5:00 p.m. Attendees will get to meet the new Sovereign Grand Commander of the NMJ, as Ill. Bro. Glattly has already confirmed his attendance. Commanders McNaughton and Seale, of the NMJ and SJ are also invited. Ordering for lunch tickets is closed.